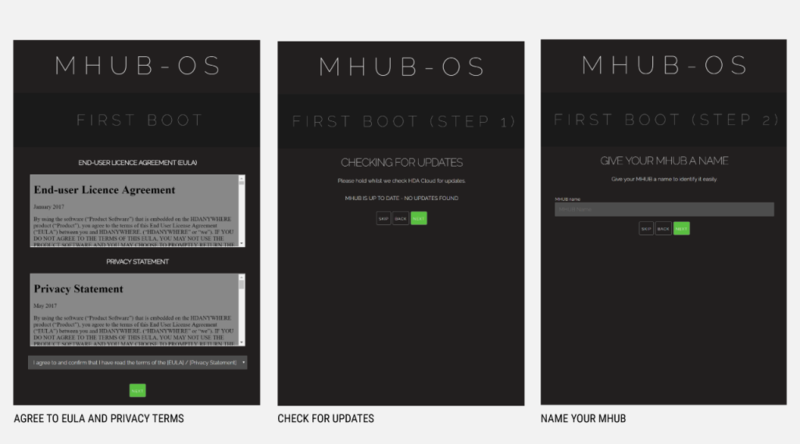 The first boot process for MHUB-OS has remained largely unchanged with the exception of zones. 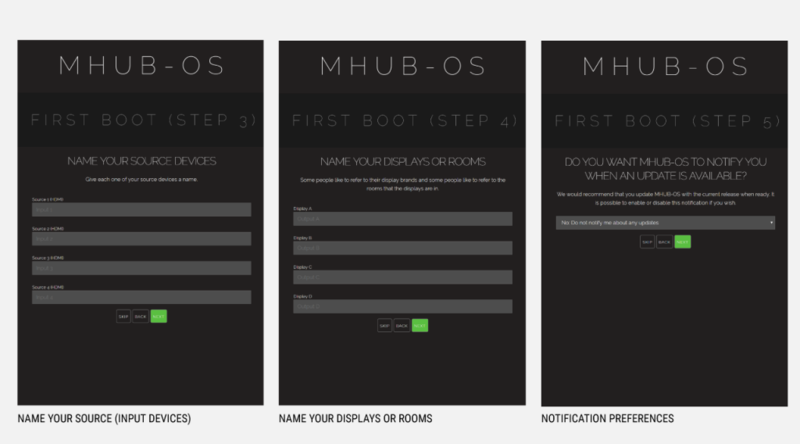 The slideshow below walks you through the steps within MHUB’s first boot process and how to setup zones to refect the different rooms or areas within you property. If you wish to configure a stacked system please watch this video – Creating a MHUB stacked system. You should be able to complete the process in under 10 minutes. 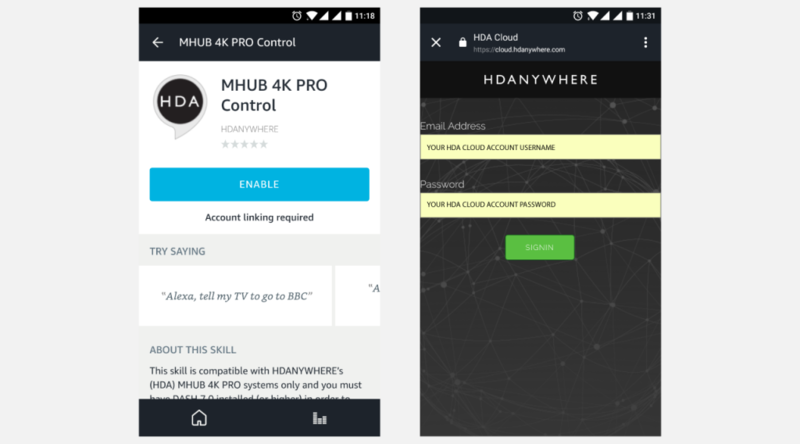 HDANYWHERE(HDA) recommends that every MHUB install goes through its first boot process to ensure that the MHUB is setup correctly. If you have an update to install then then first boot usually take about 10 minutes. If there is no update you can normally finish the entire process and have an operational MHUB system well within 5-7 minutes. Yes. You do not need to access MHUB-OS if you don’t want to. But this is only recommended if you intend to control you MHUB via a control system. You will also miss the opportunity to increase your warranty period and open your MHUB to additional features or services. I don’t want to use MHUB-OS or go through the first boot process, will MHUB work like a normal? I made a mistake in the first boot process, can I go back or make a change? Yes. You can go all the way back to the update step and correct any incorrect information you entered. 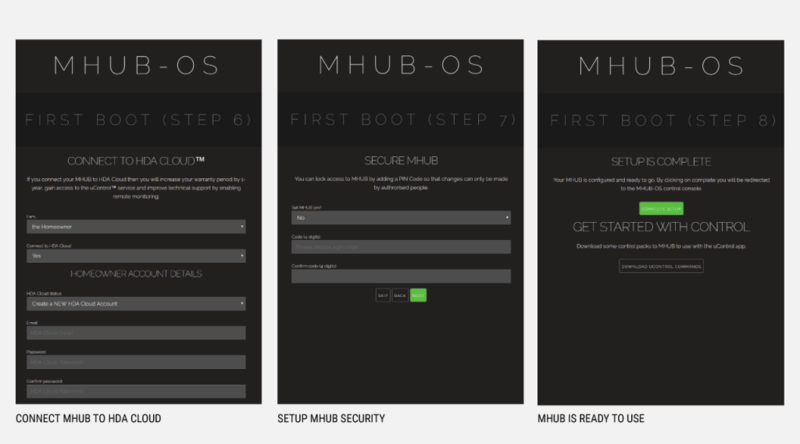 Alternatively, you can also access MHUB-OS (after you have completed first boot) and change anything then. 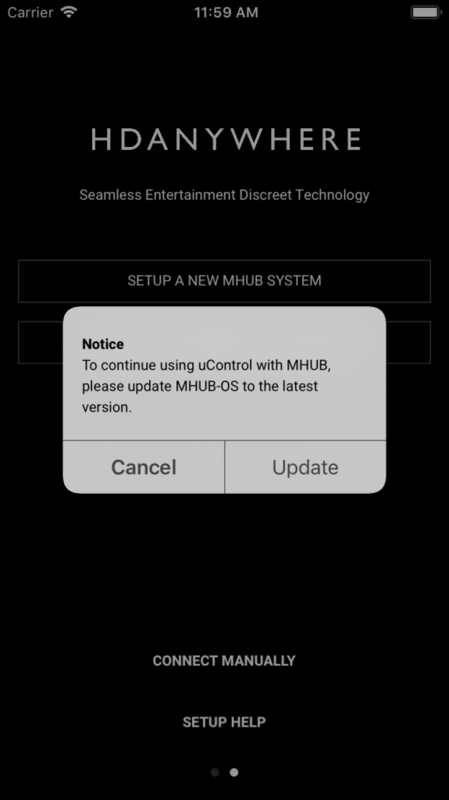 If you have received a notification in uControl or by email that an update is available for your MHUB-OS then follow these steps to update your system. All updates are now handled by uControl. Please ensure you have installed the latest version. When connecting to a MHUB for the first time, uControl will check if it requires updating. If there is an update available, it will be applied as part of the configuration process, and these screens will be displayed. If your version of uControl updates to version 2 automatically, any previous connection to your MHUB will be reset. This is normal and part of the update process. Perform first boot process which may or may not include update depending on the MHUB-OS version installed before it shipped to you. The majority of MHUB customers will be on MHUB-OS 7 and their systems will contain user data which needs updating to the latest version. If this is you then follow these steps. HDANYWHERE(HDA) recommends that every MHUB install goes through its first boot process to ensure that the MHUB is setup correctly. 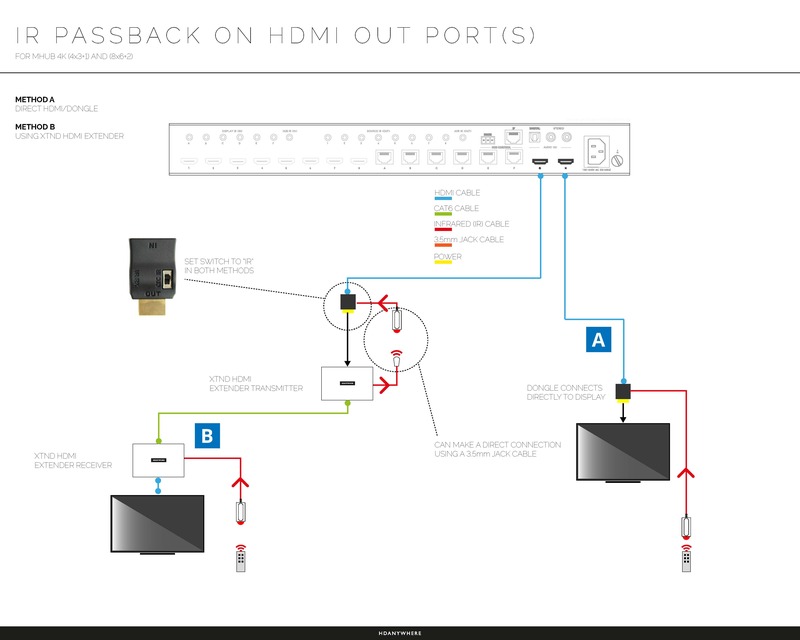 Please follow the quick start guide (inside MHUB packaging) to make sure your MHUB is connected correctly to your source devices, displays and has an active network connection before proceeding. I don’t want to use MHUB-OS or go through the first boot process, will MHUB work like a normal matrix? Yes. You do not need to access MHUB-OS if you don’t want to. MHUB will work distributing video as normal and will be controllable using the included remote controls. 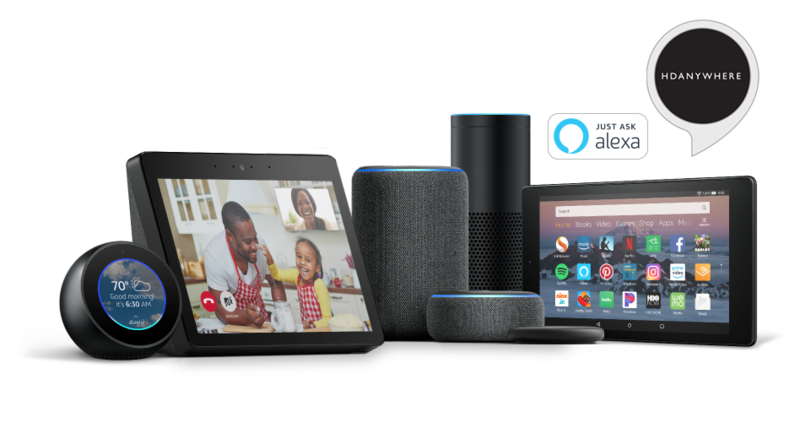 Please note that you will not be able to access advanced features such as voice control, the uControl app or build Sequences. Go to your MHUB and press and hold the “MENU” button for 5 seconds to reveal its IP address. Make a note of it then put that address in to any web browser on the same network. You will be forwarded to the first boot process. 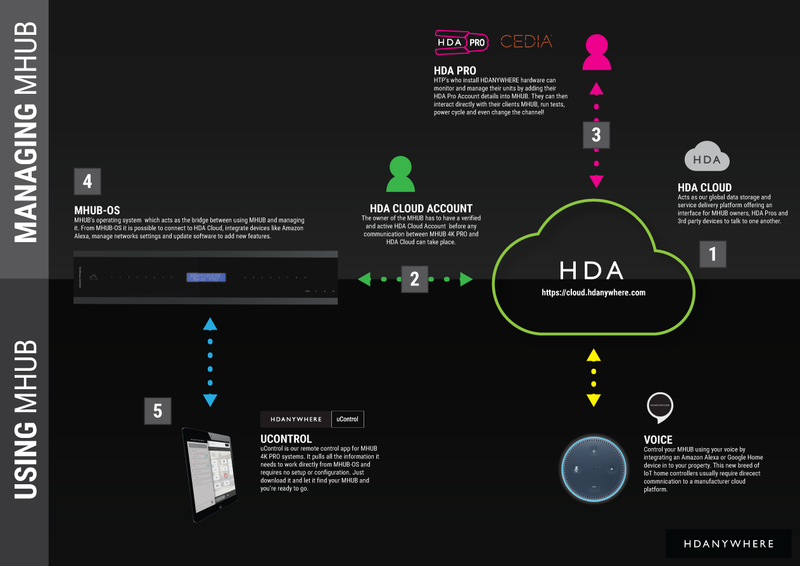 This is where your MHUB requests available updates from HDA cloud so your unit will update to the latest version. This is done before proceeding. 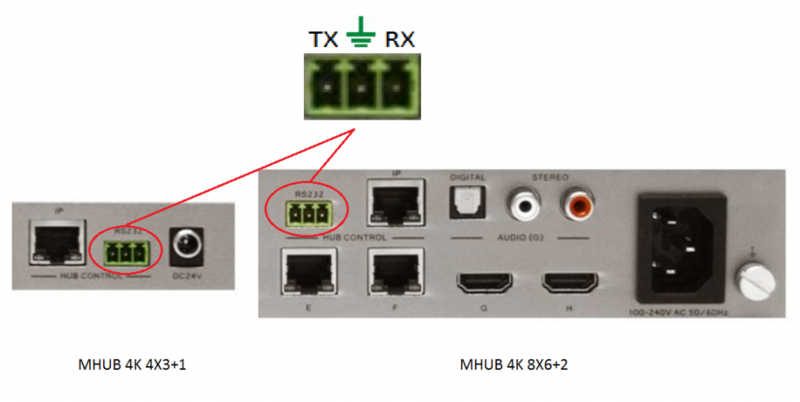 MHUB4K(3rd gen) and MHUB4KPRO units can be linked to a cloud based account. When registering as a homeowner this enables a couple of things. Firstly when you register, your warranty period is extended by 1 year, in addition to that cloud access is required when using the uControl IRengine feature allowing you to control source and display devices. 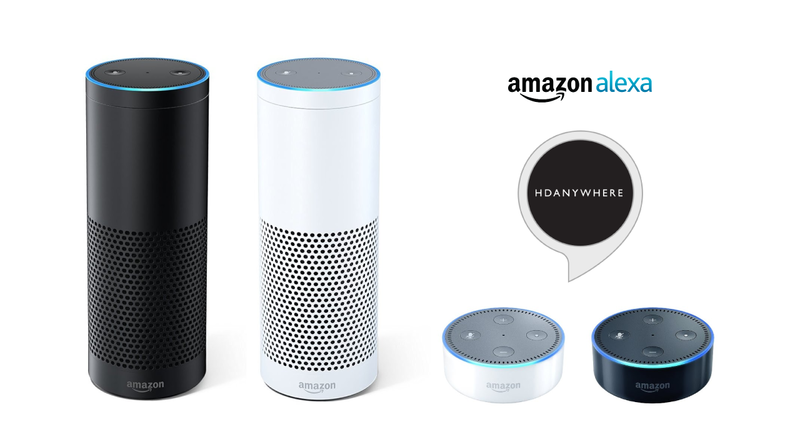 Cloud access is also required for voice integration. For a HDA PRO the cloud account allows you to manage your MHUB installations remotely, getting system information as well as a host of other features. If you wish you can lock local access to MOS stopping any unwanted configuration changes from being made. If you wish to control your MHUB 4K 4×3+1/8×6+2 from an external control system via a RS232 connection you will need to wire the included phoenix connector to the following specification. If you wish to expand the function of your 4×3+1 or 8×6+2 it is possible to integrate IR support on the HDMI ports via the included HDMI injector dongle. We have ready-made control system drivers available for MHUB series systems for all the major control systems. Also included in this are the raw IP and RS232 strings so you can create custom drivers and commands for MHUB. If you have an older MHUB system (2-15 or older) or Modular System, then you can find the drivers below. This issue is typically caused by a conflict between the program and one or more of the files in the C++ runtime libraries. These libraries are part of the Windows operating system and are used, and potentially updated, by installing or updating several Microsoft or other third party products. If you are experiencing this error when launching or installing the program, and if the program repair option does not resolve the issue, the most effective method to correct this error is to uninstall and reinstall any Microsoft Visual C++ installations currently available on your computer before proceeding with the installation. Open the Control Panel and locate the list of programs. From within the Start screen, type “Control Panel” and click on the Control Panel search result when it appears. Scroll down to locate the Microsoft Visual C++ entries. Select each one, starting from the top entry, and choose Uninstall. Do this for each entry, until there are no more Microsoft Visual C++ entries listed. Click each of the following links in order. If prompted, choose to Run the download to install each Microsoft Visual C++ Redistributable Package. Once every package has been downloaded and installed, restart Windows. The mHub 4K range has full support for most popular control systems via serial (RS232) or IP. The mHub 4K will acquire an IP address via DHCP the first time it is connected to your home network, use the controller software to locate it on your network. In the mHub controller software select IP and then press the ‘search’ button, this should locate your mHub matrix. Press ‘connect’ the red button should turn green. Your matrix is now on your home network and will be able to receive IP commands from whatever control system you are using. To disable the beep on the mHub 2k range of matrices please following the instructions below using either I.P or RS232 connection methods. Once you have changed the IP settings on your PC, open the Mhub controller software. 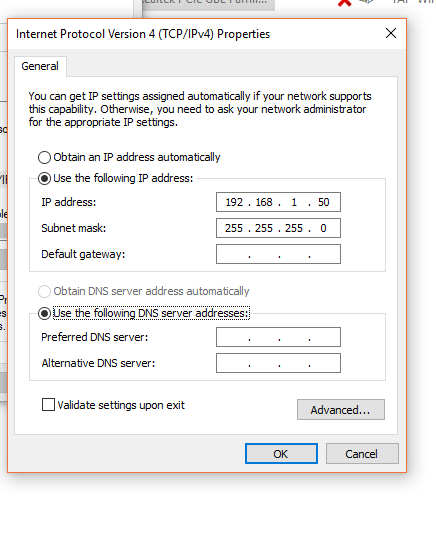 In the Control Mode Select Box choose ‘IP’, then click the ‘Search’ button. When the IP address shows in the mHub IP box, click connect. To disable the beep select the ‘Control’ tab and untick the box labeled ‘Enable Feedback Beep’. Once changed, you can verify the beep has been disabled by performing a source switch operation. With one way IR, the IR travels “backwards” from the TV location to the location of your source device or central matrix. The addition of a “forward” IR path means that IR can be sent 2 ways along the transmission cable, known as “two way IR”. The “forward” IR path takes IR from the central location to the location of the receiver part of the product you are using. Normally this will be the location of a display or projector.